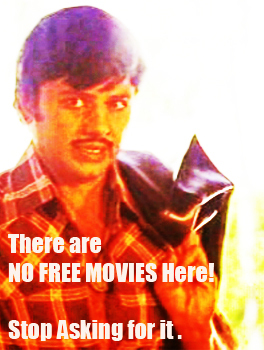 A couple more from the Malayalam cinema archives that I could find, and put together with the earlier ones that you can read here , here and here, which I feel is dense and rich enough to get any Malayalai who loves his/her Kappa Puzhukku and Fish Curry go weak in the knees and end up as a weeping wreck. I know it doesn’t get cheesier than this. but just couldn’t help it 🙂 I somehow felt that I really had to get my hands on this movie by Sasi Kumar and watch it this Onam. With the movie produced in the early 80’s, the color palette was another compelling reason, and of course another chance to see our leading men in tights ! Though Sreekumaran Thampi had directed and produced one called Thiruvonam (1975), I doubt whether it had anything to do with Kerala’s favorite myth. Knowing him, he would have been metaphorically speaking. (Note to self : Need to watch that too.) I think this was one of the rare movies where you saw MG Soman in a mythological role. Taking off from a list of favorites that was compiled a year back, during the eve of the Onam festival, this is another handful of songs from old Malayalam movies that bring out the spirit of our harvest festival. My Grandpa used to get very offended, when, I used to tell him that King Mahabali (from now on refereed to as Maveli) had to be the only ‘Socialist’ ruler in mythology, for being able to manage a kingdom where the material needs were none, and everyone had enough to keep them happy! Now, I can’t find a better and finer example than the concept, more beautifully lived out in our mythology, than the legend of Maveli. And ancient texts, scriptures, mythology have always been a favorite hunting ground for our film makers, going back all the way to Raja Harishchandra in 1913, our first movie from India ! Onam and Onathumbi from Old Malayalam Cinema. I am yet to be made aware of another regional community that attaches so much significance to the presence of an insect, specifically, the picture wing dragonfly, when it comes to their greatest celebration that represents a new beginning, gaiety, mirth, hope and above all the warmth of homecoming. Our little Onathumbi has been so ingrained in our Onam celebrations, that it is but natural to find its reflections in Malayalam Cinema too. Continue reading Onam and Onathumbi from Old Malayalam Cinema. Onam Songs from Old Malayalam Films | My Favorites. Songs that celebrate the festive spirit of Onam, the harvest festival of our homeland ( wait a minute, harvest festival? I can’t even recall the last time someone celebrated a decent harvest), have got themselves their own special place in the realm of Malayalam Cinema. Come to think of it, it has been quite some time, since someone decently picturized a traditional Thiruvathira recital or an Onappaattu worth its salt in recent years. Should we blame the increasing disconnect with our traditions, and as an implication, less recognition by the movie-watching public, which again means less marketability? I don’t know. Continue reading Onam Songs from Old Malayalam Films | My Favorites.